Happy Monday! Hope you had a great weekend and was able to enjoy it either indoors, much like the east coast with the recent snow storm... or perhaps outdoors, much like the west coast. For us in the Midwest, it was a mild winter weekend where we craved comfort food to warm us up. 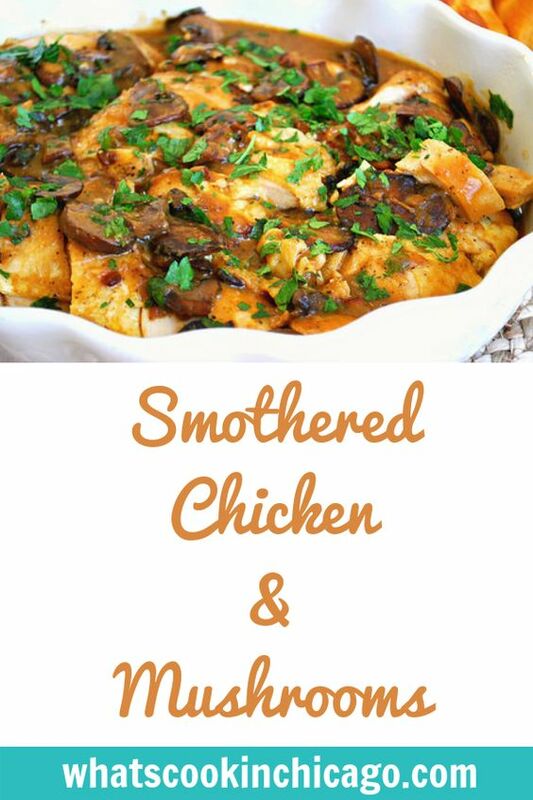 I've been testing some recipes lately and enjoyed this crockpot dish for Smothered Chicken & Mushrooms. 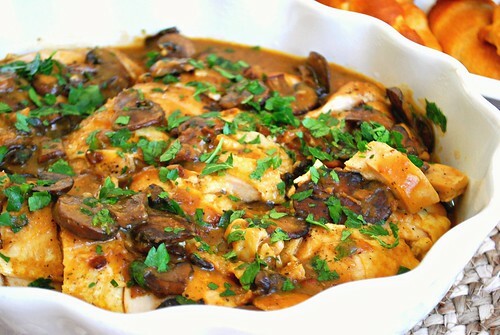 Creole seasoned chicken is lightly fried and blanketed in a savory mushroom and tomato sauce with bacon, mushrooms and garlic before slow cooking for a few hours. The result is a flavorful, hearty and comforting dish to keep you warm through the winter! In a shallow dish, combine the Creole seasoning, garlic powder, onion powder, black pepper and set aside. Place chicken in a large bowl and coat with 2 tablespoons of olive oil and the seasoning blend, mix well. Lightly flour chicken and set aside. Heat remaining 1/4 cup of olive oil in skillet over medium heat and brown chicken in batches, for about 3 minutes on each side, transfer to slow cooker, repeat. Add bacon, mushroom and garlic to pan, saute for about 5 minutes. Add cream of mushroom and tomato sauce and mix well. Pour mixture over chicken in slow cooker. Cook on low for 4-5 hours on high or 6-8 hours on low. Transfer chicken to serving dish and garnish with parsley on top if desired. Serve over hot rice or potatoes.